This Military Service Page was created/owned by Michael Avolese-Family to remember Avolese, Paul Andrew (Red 1), Maj.
, 42-29480, makes a crash landing at the 301st's hard-surfaced runway at Tafaraoui, Algeria. 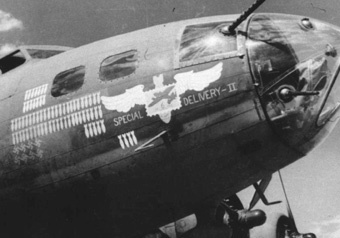 Sixty-eight more missions were completed before "Special Delivery II" was considered "War Weary" and sent back to the USA proudly sporting at least eight swastikas for fighter kills. Here it was used to train the seemingly endless line of fledgling aircrews at Rapid City AAB, including men destined for service with 398BG. In October 1944, it was worn out and written off. 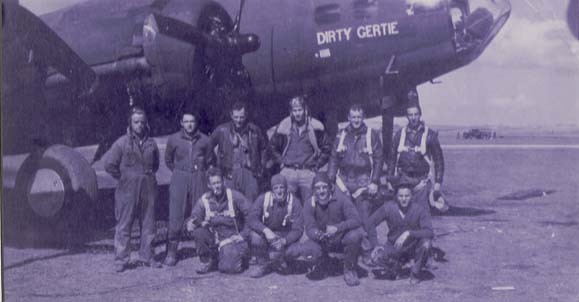 Front Row, L to R: Guy S. Crump, Ball Turret; William H. Drews, Tail Gunner; Edward D. Donadio, Waist Gunner;Name Unknown, Crew Chief. Activated 3 February 1942 at Geiger Field in Washington. 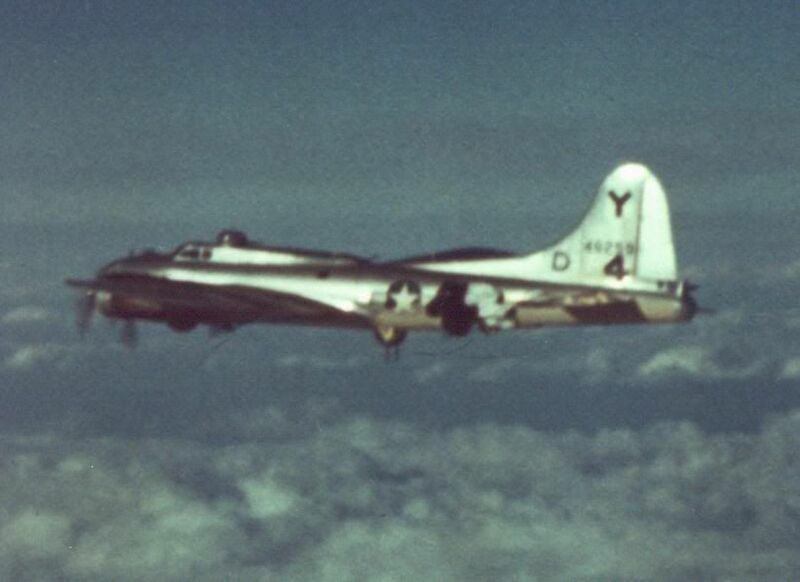 Equipped with B-17s and moved to Alamogordo AAB, New Mexico on the 27th of May 1942. Aircraft went to Muroc, and did not reach Alamogordo until mid June 1942. The Ground unit moved to Richmond, Virginia and on the 19 of July 1942 left for Fort Dix, New Jersey at the start of the overseas movement. 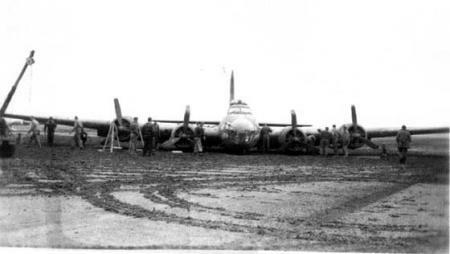 The aircraft went to Brained Field in Conn. on the 23 to 30 June 1942 and then moved to Westover Field Mass. The first aircraft departed for the United Kingdom on the 23rd of July 1942 flying the northern ferry route. Assigned to the 12th AF, XII BC on 14 September 1942 but continued to operate under VIII BC. The aircraft left for south-west coast bases on the 20th to 23rd of November 1942 and flew direct to North Africa. The ground unit left Chelveston on the 8th of December 1942 and sailed in convoy from Liverpool. the Group operated with the 12th AF in the Mediterranean theater and later with the 15th AF from Italy. They flew strategic bombing missions over southern Germany and the Balkans. Established as a B-29 group in the US in 1946. Later as a b-47 wing and when this type of aircraft was withdrawn from inventory converted to KC-135 tankers.